Bermuda Grass Green-Up Slower than a Snail? Hot temperatures and no rain: the perfect condition for weak turf. 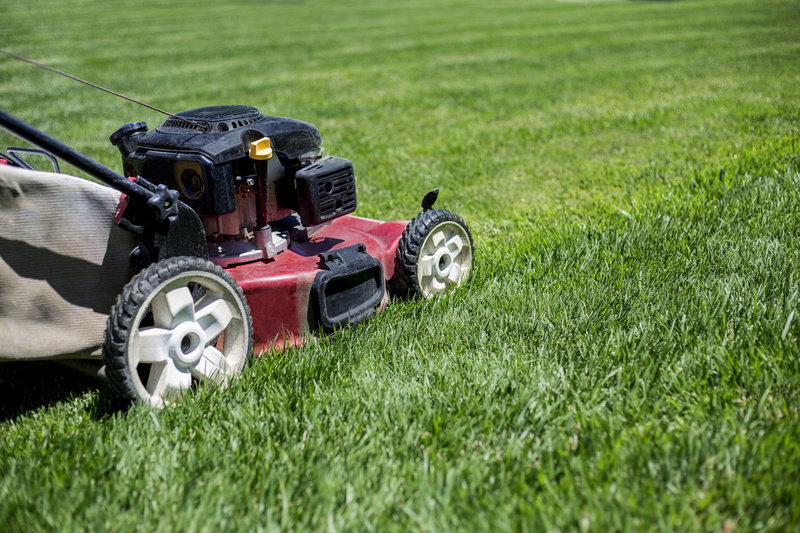 From June last year well into the fall, most homeowners had experienced an extremely slow green-up time for their Bermuda lawns. It’s frustrating and annoying when your grass is looking brown and weak well into late spring. So when there’s no rain and high temperatures, not even irrigation can meet plant needs. This causes grass to go into a drought-induced dormancy. Even warm-season grasses must protect themselves when stress gets to them. This spring, the turf was in a weakened state due to the drought induced dormancy. The result has been a slow green-up. These times of extreme stress can cause grass to lose their color and look brown, have a thin canopy, and soil will begin to peek out in areas where you normally wouldn’t see it. But, Bermuda grass can be very resilient. Their stolons and rhizomes can tolerate stress to continue their growth once the weather returns to ideal conditions. Despite Bermuda grass being able to bounce back, prolonged stress can have a lasting effect on their recovery. So, what can be done to improve and increase the green-up of your grass? A great option is to begin a fertility program to strengthen turf and core aerification. This process uses methods to open up the soil to allow air and the necessary water into its roots. With good timing and performance, core aerification can work its magic to help make your grass grow sooner. This process benefits lawns that suffered through one or multiple droughts that caused them to go into dormancy states. There are two different types of aerification that can be done to aid your lawn’s green-up and growth: solid and hollow tine. The solid tine method includes using solid metal spikes to drive holes into your lawn’s surface. These holes can be anywhere from six inches deep and on. This method is simple and does its job well. Hollow tine aeration is about the same, but the spikes are hollow inside. The hollow piece extracts a portion of the lawn, allowing the pores of the grass to breathe and creates extra space for the soil. This process isn’t as deep, as its about three inches. Hollow tine aeration is longer-lasting than solid tine. Despite the choice in tines, deeper holes are a lot better than shallow ones. Overall, aerification improves air exchange and better water absorption within the lawn’s soil. It can be frustrating when your lawn doesn’t look the way you expect once springtime comes. The unpredictable weather is totally out of anyone’s control. The best way to get things back on track is to utilize the core aeration process. It’s the best way to ensure that your lawn will get out of its dormancy stress stage and return to its natural growing methods.